O / H April 8th 2-4pm. Offers Accepted April 10th. 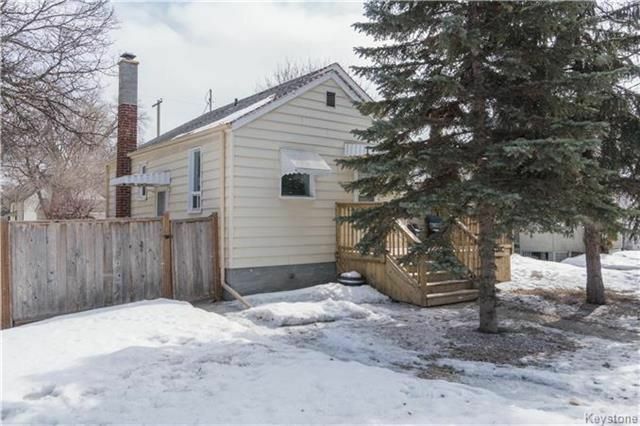 Located in the highly sought out neighbourhood of River Heights, this charming bungalow is ready to meet it's new owners! Just under 700 sf, this 2 + 1 bedroom home features a stylish and functional open concept main floor. In 2016 both the garage and house received new roof's, new chimney flashing was installed as well, and a new hot water tank. The front deck was built in 2015 and the current owners have enjoyed many morning coffees and evening glasses of wine on it during the warm summer months. The lower level of this home is fully developed with a family room, the above mentioned 3rd bedroom, a 3 pc bathroom and a laundry/ storage space. Located on a huge lot, the fully fenced yard is the perfect combination of sunlight and shade and a great place to entertain. Close to all amenities, community clubs, schools and parks this home is sure to impress people looking for a great starter home in a fabulous area, or those of you thinking of downsizing!